Virginia Bruce gets to model a stunning array of lingerie. A trio of tailors fit Cagney for a suit and are very interesting in getting precise measurements of every inch of his body, and then giggling a bit afterward. It’s a Cagney movie from the early 30s, so obviously a few naughty ladies are going to get smacked. 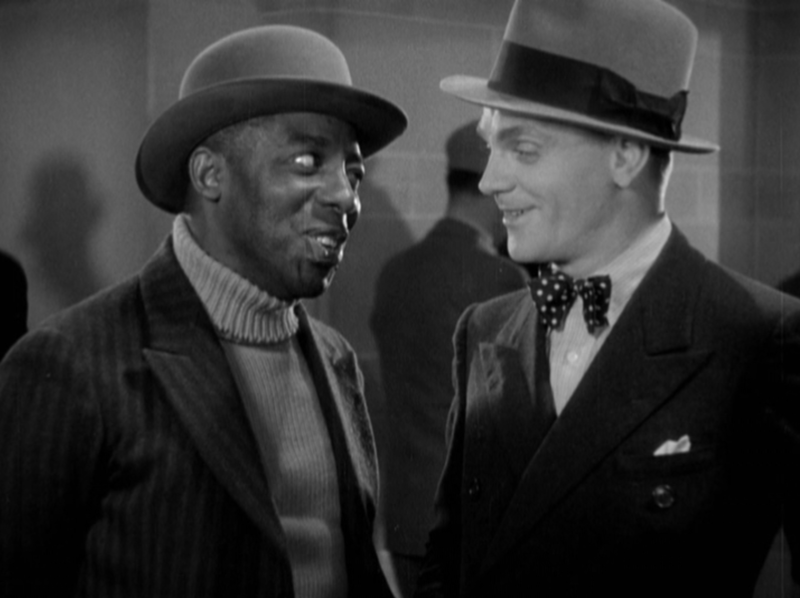 James Cagney’s pre-Code career is hit or miss, no doubt about it. His personality is one of both eager machismo and a sinister smile, while also having a deep cachet of emotional vulnerability to draw on, something that’s extraordinarily hard to fit into a screenplay. 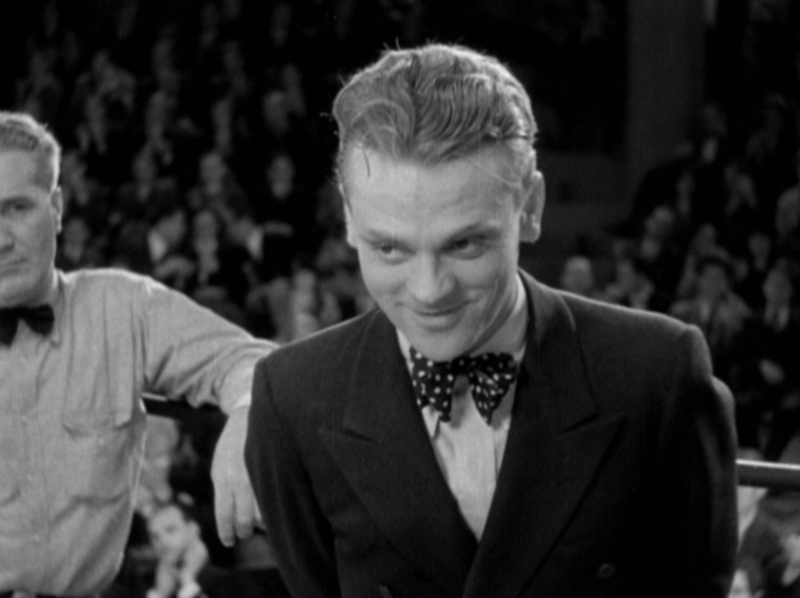 Winner Take All is probably one of the least successful attempts, giving Cagney a character to play a bit outside his normal range: here he’s a slow-witted boxer named Jimmy Kane who is both pushy and repulsive. Kane is Jake LaMotta in a 30s Warner Brothers flick, with all the good and bad that that entails. Condemned to a resort in New Mexico to dry out after some heart trouble (‘heart’ trouble almost certainly having a double meaning in terms of his bad luck with blondes), Jimmy Kane is out of his element for the first time in his life. A roughneck city boy, the country air and coyotes terrify him. That is until he meets Peggy, a single mom who used to be a waitress in a speakeasy where she’d run into Jimmy before. Now free from the hub and bub of city life, the two develop a sweet romance. He even takes a fight to help raise the money to further treat her kid, pretty much making him something akin to a dumb saint. Unfortunately, Jimmy has to head back to the city– a corrupting force here– and overnight forgets Peggy as a voluptuous society girl named Joan (Bruce) appears in his life. He decides to class himself up, going so far to getting plastic surgery to fix some of the uglier features he’d acquired from his profession. This proves to be an even bigger turn-off to Joan as he sacrifices his bracing boxing stance to protect his new schnoz, and no matter how forceful he is with Joan, she just can’t be worked up enough to care about him. This comes to a head as he fights for the championship while Joan is most certainly running away with another man. The only interesting character in the film has to be Virginia Bruce’s Joan, though it has to be said that it’s mostly because the film purposefully tricks the audience on several occasions to make her motivations murky. The character functions on two desires: attraction to Jimmy’s brawn and body while revulsion at his mental slowness. This attraction can flip at an instant, making her hard to read for the audience, let alone for Jimmy’s already confused brain– one moment she’s locking lips, the next she’s pushing him away with a devilish grin. Director Roy Del Ruth, who was also behind The Maltese Falcon, Blonde Crazy, and Beauty and the Boss, doesn’t mind messing with the audience when it comes to Joan either. Though she may welcome Jimmy and his new face into her fancy apartment with an embrace, once her friend shows up, she realizes that she’d rather antagonize him. 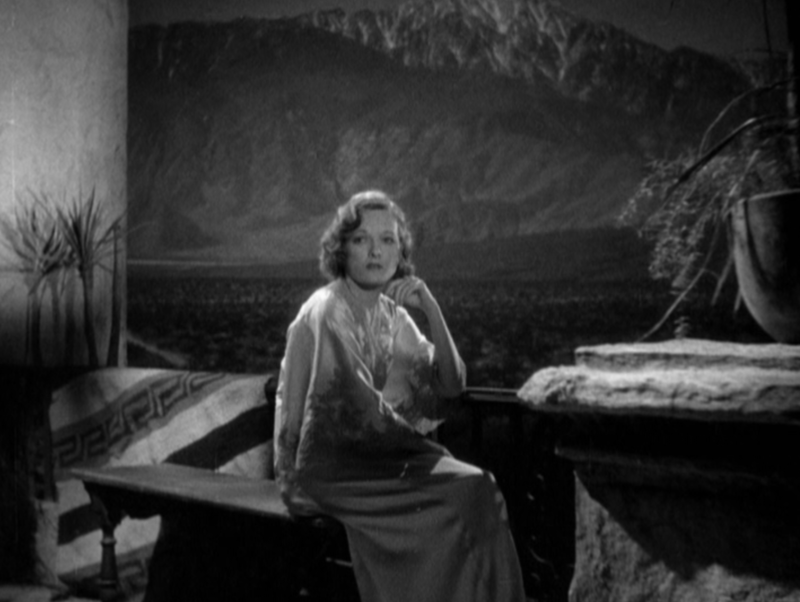 Later, when Joan is late to the climactic bout, Del Ruth gives one cut to her that makes it look like she’s on her way– only to reveal a few moments later she’s actually running off to Havana while Jimmy is occupied. It feels desperate, and that’s not much of a surprise. There’s a definite attempt to graft this story of a poor dumb mug with an ego the size of Madison Square Garden onto Cagney’s usual tough guy, love-em-and-leave-em machismo with little success. While there are some scrambling attempts to meaningfulness, the end really doesn’t seem like a satisfying conclusion for anyone. 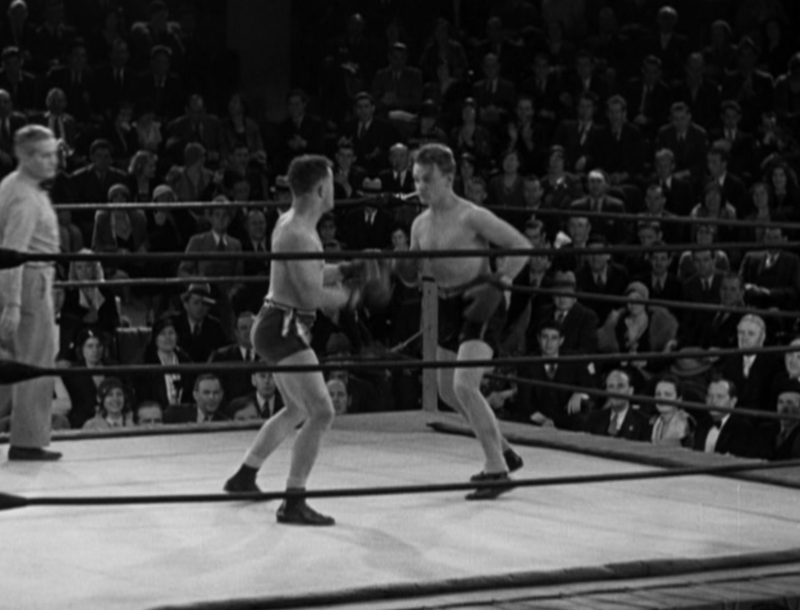 One of the film’s endless boxing scenes. Nixon is a non-entity, too pure to care about as a real person, with Dickie Moore as her son who is similarly too-twee to give two thoughts to. Guy Kibbee and Clarence Muse get a couple of nice moments as Jimmy’s promoter and manager, respectively, but not enough moments overall. The film has all of the hallmarks of what makes the Warner Brothers pictures of the time so exciting– the multiculturalism, the violence, the joy in challenging conventions– but lacks substance behind its madcap heart. 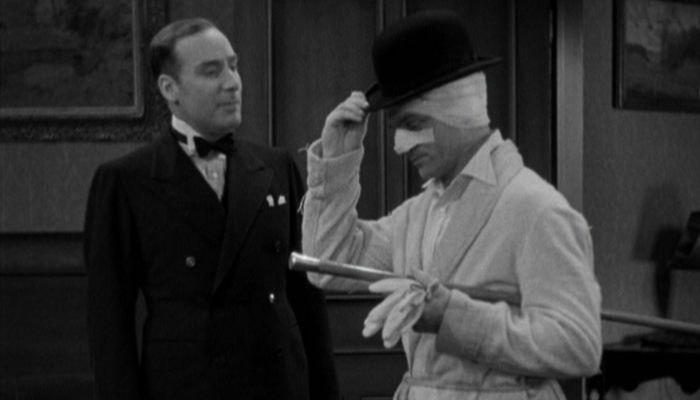 And Cagney tries here, he really does, but Jimmy is such a lout, it’s hard to find much sympathy for him. There’s just nothing connecting his good pieces to his bad pieces, and hole in the center of the character. Overall, it’s just a waste of material. After having been highly successful in his portrayals as a gangster, a gambler, a taxicab driver, a confidence man and an automobile racer, James Cagney, the stormy petrel of the Warner Brothers’ Studio, turns his attenion, in “Winner Take All,” the current picture at the Strand, to impersonating a prizefighter, who prefers blondes but marries a brunette. The story of this new film is more than slightly callous and one that depends chiefly for entertainment on its obstreperous comedy. Always great to see Clarence Muse. The script was adapted from a 1921 story originally published in Redbook magazine by Gerald Beaumont, “133 at 3″. One of the screenwriters was Wilson “Bill” Mizner, a true American character who was a playwright, opium addict and entrepreneur who was a co-owner of the Brown Derby restaurant. 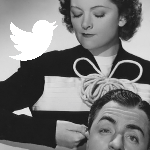 In his autobiography Cagney fondly remembers how story conferences turned into bull sessions. One time Cagney was complaining how the boxing scenes were ruining his hands. 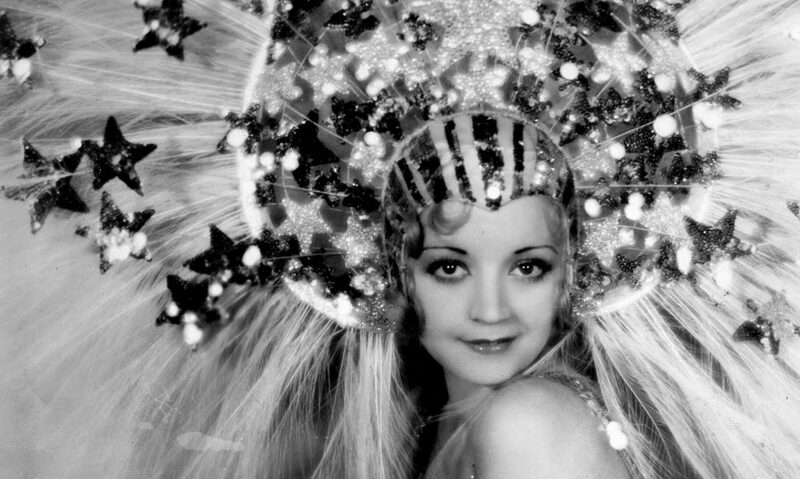 Bill responded by showing his, which “looked as if someone had battered them with a sledgehammer.” Cagney said, “In the name of God, Bill, how did you get those?” Mizner responded, “Oh, hitting whores up in Alaska.” Mizner would die soon after in 1933. Winner Take All has the feel of one of Mizner’s tall tales, though with a smidgen less misogyny. 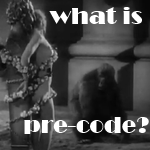 I think both Nixon and Bruce give fine performances as the “good” and “bad” girls – interestingly, in this pre-code world, the “good” girl is a former waitress at a speakeasy, and the “bad” one is a society woman who won’t sleep with the hero. 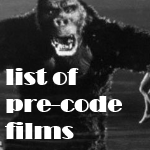 Some great stills and even a few clips from Doctor Macro. 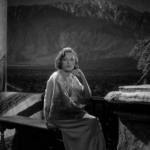 Utilized to introduce a brief flash-back depicting Marion Nixon as a speakeasy singer (she warbles a bit of “Was That the Human Thing to Do?” which dates from 1932 and not 1929, however) our glimpse of footage from “Queen of the Night Clubs” amounts to a scant 13 seconds or so of splendid looking but mute footage (the soundtrack has been replaced to accommodate a musical lead-in to Nixon’s little song) consisting of seven quick shots (six actually, with one being split into two) in which we see Texas Guinan holding reign above a festive crowd in her re-created nightclub (publicity items claimed the set was an exact duplication of her night-club’s main floor — which perhaps it was, albeit far more brightly lit and dramatically less smoke-filled!) 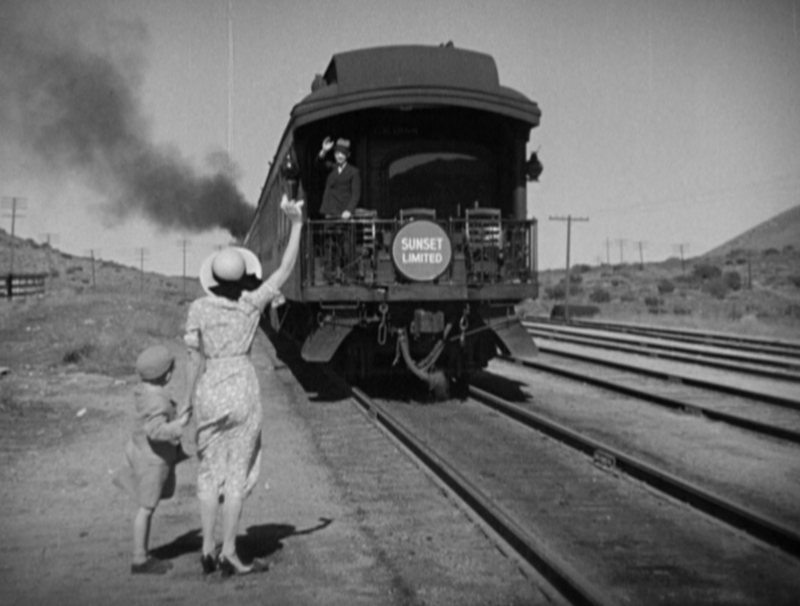 as well as equally quick flashes of dancing girls, “Georgie” Raft leading the club’s band, and a glimpse of Arthur Housman at a table which dissolves into 1932’s “Winner Take All Footage.” To the credit of the 1932 film, more than a bit of care was taken in matching the new footage with the old, with props from the 1929 film (a tablecloth and lamp) being dug out to ensure a fairly seamless transition despite the sudden absence of ziggurat wall designs in the 1932 re-creation. Apart from Public Enemy, Cagney was mainly a comic figure in the Pre-Code era, a transgressor who gets away with what we wish we could — usually smacking the sort of people we wish we could. Again, it says something about the era that his victims so often include women (he gives his niteclub date in the flashback a face full of seltzer water), but it doesn’t look like many women objected back then. 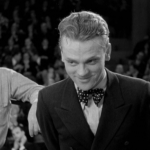 His violence was essential to his manhood, and Winner underscores this, stressing that it’s not merely the physical grace that Cagney was praised for later but his willingness to mix, to put his chin out, get as good as he gives, that defines him.